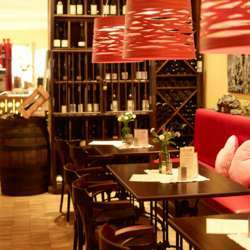 Let's meet all together for our InterNations April event at Oechsle Wein in Trier. Oechsle Weinhaus is very famous for their wine tasting and there are more than 80 different sort of wine from the region of the Mosel to the Western & Eastern European wines as well. You are welcome to bring friends and colleagues along for the fun. Just remember to sign up to attend!